SPREAD THE WORD. THE WORD IS MURDER. I went into this book with very little idea of what to expect – so this was a brilliant surprise! Anthony Horowitz has been one of my favourite authors for a long time, longer than I think either of us would care to admit. His Alex Rider series was something my brothers and I shared (possibly the only thing) so his writing has always meant a lot to me. Funnily enough, a love of Sherlock Holmes was another thing that my older brother and I shared – so when Horowitz wrote House of Silk, I was all up in that s***. This book is simply magnificent. Think contemporary Sherlock Holmes, if John Watson had a backbone and an understanding of the publishing industry. Horowitz himself plays the part of Watson, he puts so much of himself into this book that it’s impossible to tell where fact and fiction meet – he agrees to follow the difficult yet brilliant Detective Hawthorne (Sherlock, anybody?) while he investigates the murder of a woman, then faithfully write the story with his own twist and publish it. 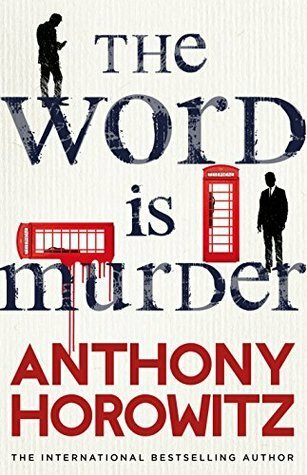 This is what sets this book apart from other detective novels – the author’s self deprecating humour as a narrator is really enjoyable, putting himself out there to his readers makes everything a bit more thrilling. I’m not sharing any of the mystery at all, you need to read the book itself to find out what happens. All I can say is that I loved the clues, the excellent characters, the nods to the author’s own career and the dash of sensationalism to finish it all off. It wasn’t overdone and the tension was kept at a high throughout the entire novel. Horowitz fans are going to love this book, as are all fans of classic detective novels. It’s cleverly written and deliciously cliched, without being so convoluted that you end the book somewhere between confused and disappointed. Comics: The Good, The Bad, The Adorable Little Wolf Cub!! !